Ticks spend most of their life cycle in the environment, and all tick life cycle stages are dependent on a complex combination of climate variables. Furthermore, host availability and vegetation significantly modulate the dynamics of tick populations. Tick recruitment is dependent on successful reproduction, which in turn requires sufficient adult tick densities, available blood meal sources, and egg survival. Though many animals can serve as hosts, there are several determinants of host suitability. For example, host availability in time and space is an important determinant of tick bionomics. Shelter and protection from environmental extremes are critical to tick survival. Questing and diapausing ticks are vulnerable to extremes of temperature and humidity. 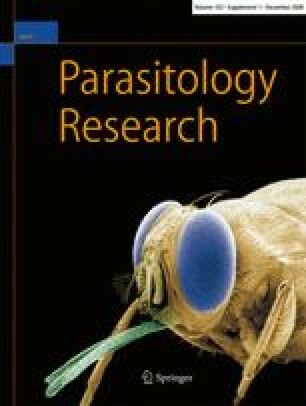 There are concerns about how predicted climate change may alter several critical features of host–parasite relationships of ticks, the potential for invasion of new areas or alteration of patterns of pathogen transmission in particular. However, modeling approaches that relate known occurrences of tick species to climate (and/or landscape) features and predict geographic occurrences are not completely fulfilling our needs to understand how the “tick panorama” can change as a consequence of these climate trends. This is a short review about the concept of ecological niche as applied to ticks, as well as some raised concerns about its evaluation and strict definition, and its usefulness to map geographical suitability for ticks. Comments about how climate, hosts, and landscape configuration are briefly discussed regarding its applicability to tick mapping and with reference about their impact on tick abundance. I will further comment on already published observations about observed changes in the geographical range of ticks in parts of Europe.